Well honestly, I don't really know I guess.. It's a change of legal status and the showing of both our commitments to live with each other by our side. Perhaps wedding is like a marathon, I'll know better some decades later down the road. But I am very glad the ceremony is over now and we could focus on the more important things in life and enjoy quality couple life. I insisted to choose our anniversary date to have the wedding and hence I proposed to her in early 2015, in a funny way. Actually I have been looking at the calendar for quite some while and secretly budgeting for the wedding. The date I've picked is the only near date that would have it fall on a weekend. Will share more in part 2 as it's a midst of a super peak season for us. This is a quick entry to get the blog going again after half a year of drought! I can't believe how time has passed. You might read somewhere that I play music, yes, I play the flute. As age climbs and family responsibilities gain, I think the time I have to play music is scarce, let alone joining community orchestra etc with my work being mostly at the weekend that clashes with concert dates. So I planned some surprises that make use of my hobby since many wouldn't have the chance to see that too, not even my wife. Canon in D was the piece I suggested to use being our entry music to the wedding banquet. 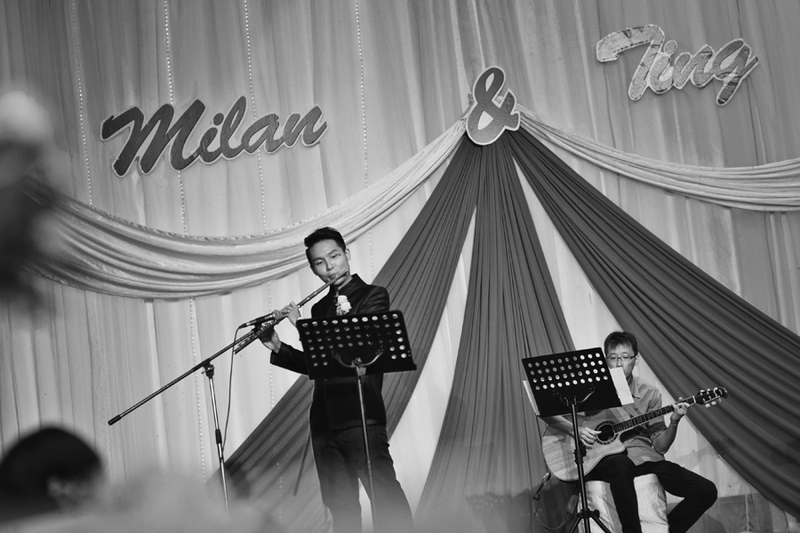 Luckily that my wife obliged, so I planned around it - I had two orchestra friends to record this piece with me and to play it for our entry to the wedding banquet. I love the flute version of this piece alot, and honestly Canon in D is just a repetition of some same melodies throughout all instruments. The overlapping of these similar melody resulted in such a beautiful sound collectively. It seems like a couple's wedding life don't they? We probably do the same chores every single day, repeating it and somehow when you blend them in harmony, it's beautiful. Happy weekend to all of you, I'll be back with more posts this year!